Honor, the sister brand of Huawei earlier this year launched the Honor Play 8A, just months after it, the Chinese smartphone manufacturer has launched a dubbed version in the form of Honor 8A Pro. 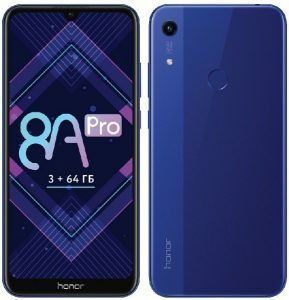 The Honor 8A Pro is a budget oriented device and apart from the specifications, almost everything is borrowed from its predecessor, the Honor 8A Play. 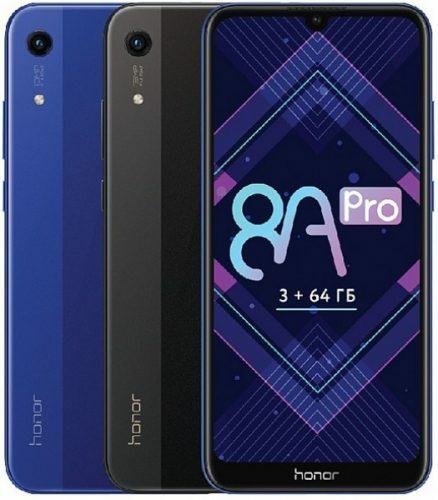 The company unveiled the Honor 8A Pro in Russia. The device sports a 6.09inch HD+ display and will be available for sale starting April 12th in Russia. The device runs on Android 9.0 Pie Based on EMUi 9.0. The Honor 8A Pro is powered by an octa-core MediaTek Helio P35 SoC with four Cortex A53 cores which are clocked at 2.3GHz and four Cortex A53 cores which are clocked at 1.8GHz. These are coupled with 3GB of RAM and PowerVR GE8320 GPU. The 8A Pro comes with 64GB onboard storage which is expandable via microSD card up to 512GB. As for the optics, the Honor 8A Pro features a 13-megapixel primary camera with an LED flash and f/1.8 aperture. To the front is an 8-megapixel selfie shooter, nothing fancy here. As for connectivity options, the device supports 4G LTE, WiFi 802.11b/g/n, Bluetooth v4. 2 and a micro USB port 2.0. The device is backed by a decent sized 3,020mAh battery. The device comes with a rear fingerprint sensor. The Honor 8A Pro is available in Russia starting today with a price tag of RUB 13,990 which approximately comes to Rs. 14,700. Although, the company is selling the device at just RUB 10,912 for today as an introductory offer. The device will be available via Tmall.